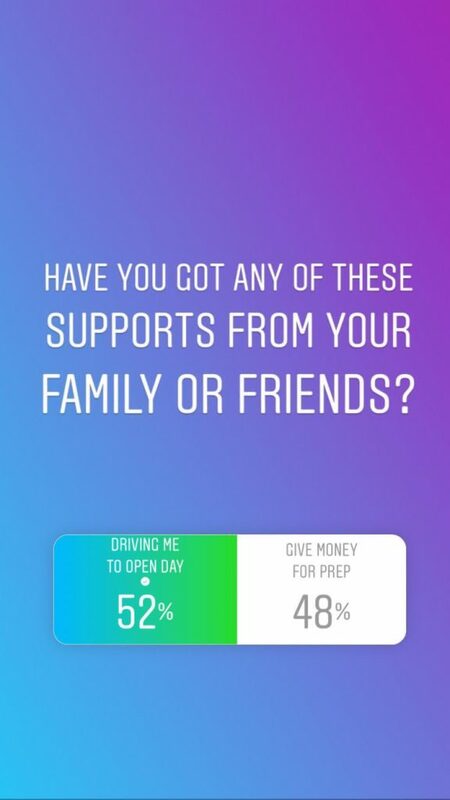 Yesterday, we were doing a spontaneous series of polls on our Instagram account @forumpramugari. 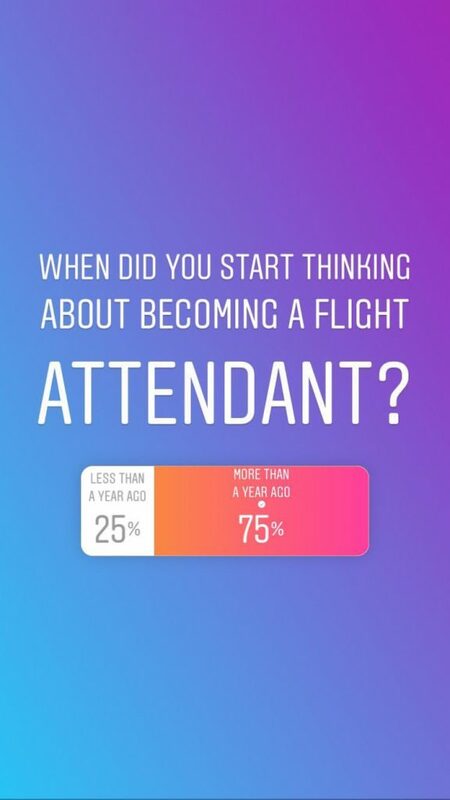 The questions were about the readers’ journey of becoming a flight attendant. 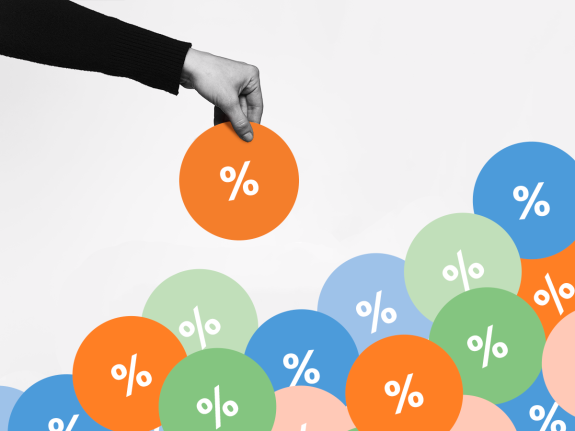 We threw 16 questions, each with 2 optional answers, and the response was huge. Here are the results in detail. Q1: When did you start thinking of becoming a flight attendant? 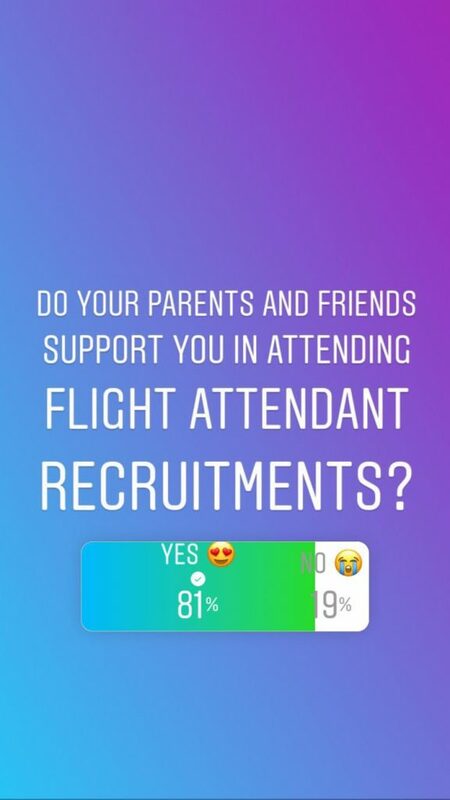 Q2: Do your parents and friends support you in attending flight attendant recruitments? 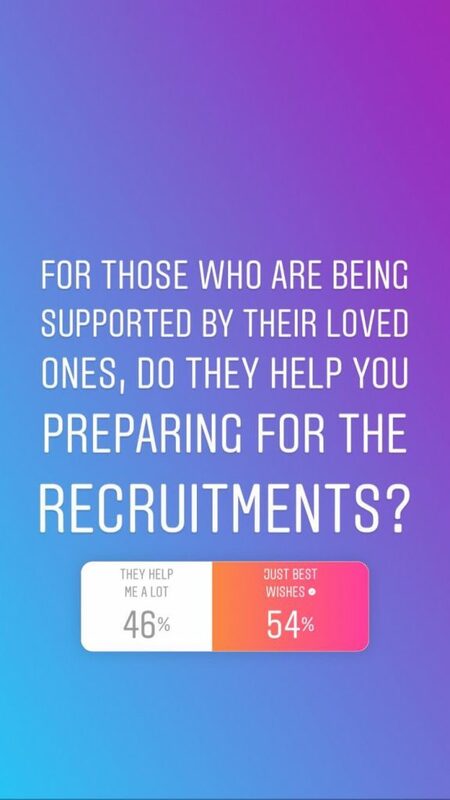 Q3: For those who are being supported by their loved ones, do they help you preparing for the recruitments? Q4: Have you got any of these supports from your family or friends? Q5: Did you receive any of these helps from your family or friends? 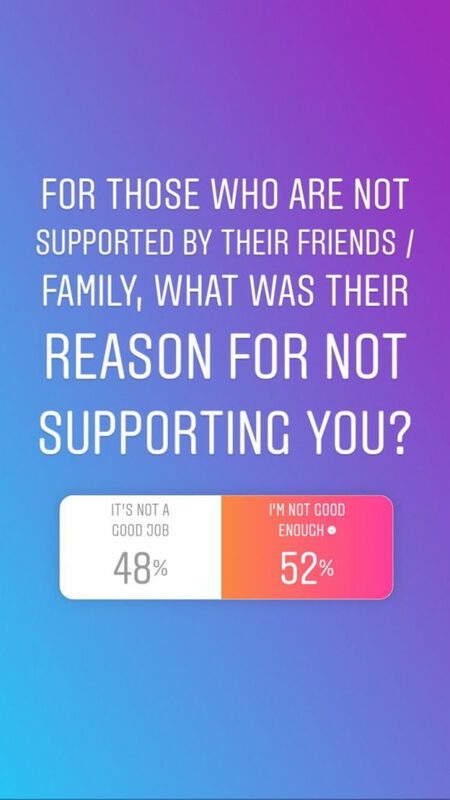 Q6: For those who are not supported by their friends / family, what was their reason for not supporting you? 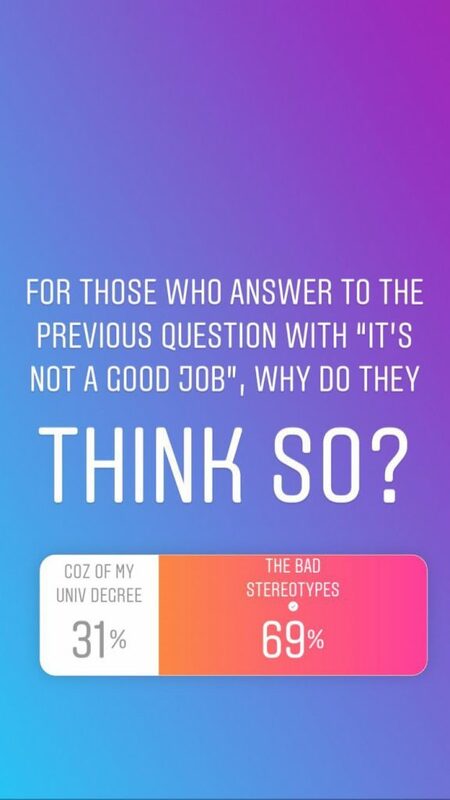 Q7: For those who answer to the previous question, “It’s not a good job”, why do they think so? 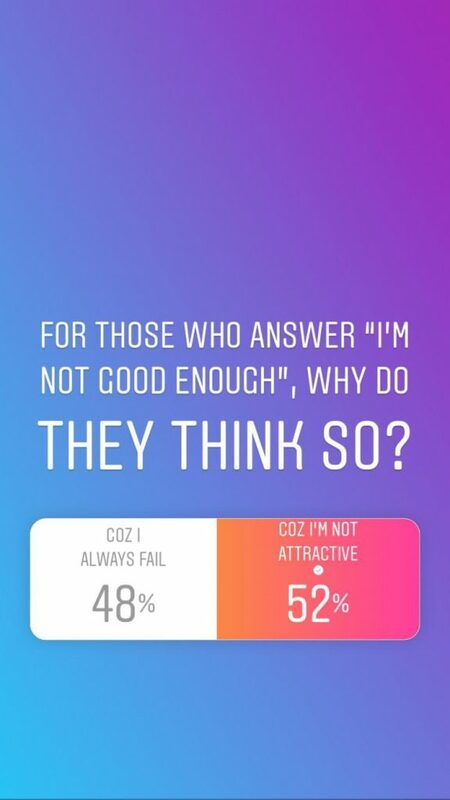 Q8: For those who answer, “I’m not good enough”, why do they think so? 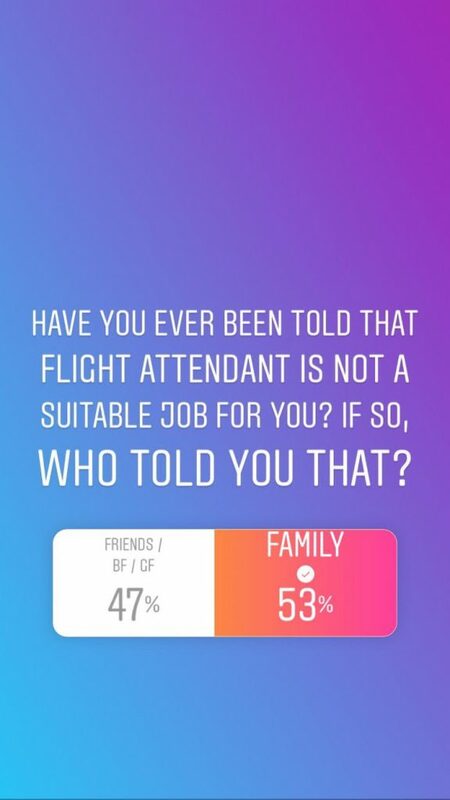 Q9: Have you ever been told that flight attendant is not a suitable job for you? If so, who told you that? 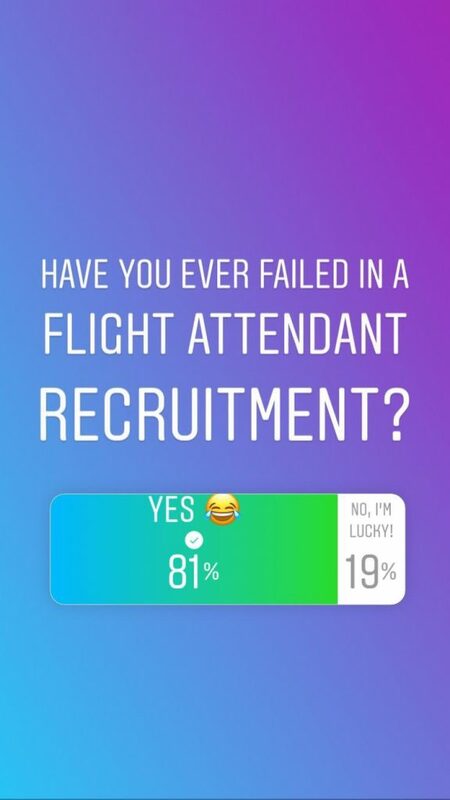 Q10: Have you ever failed in a flight attendant recruitment? 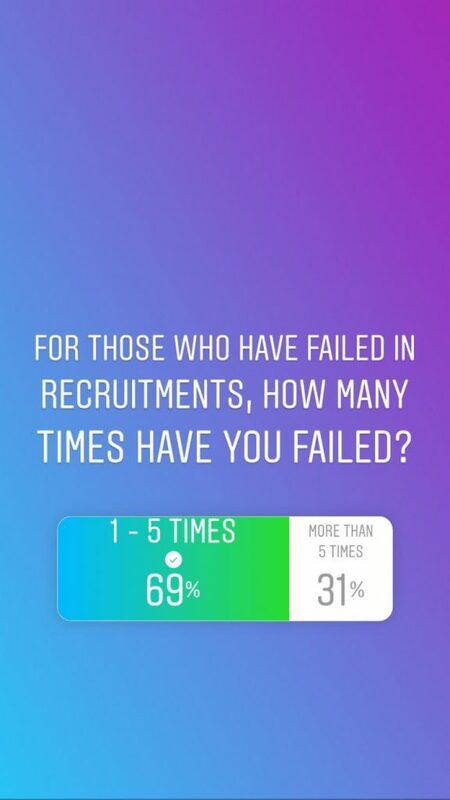 Q11: For those who failed in recruitments, how many times have you failed? 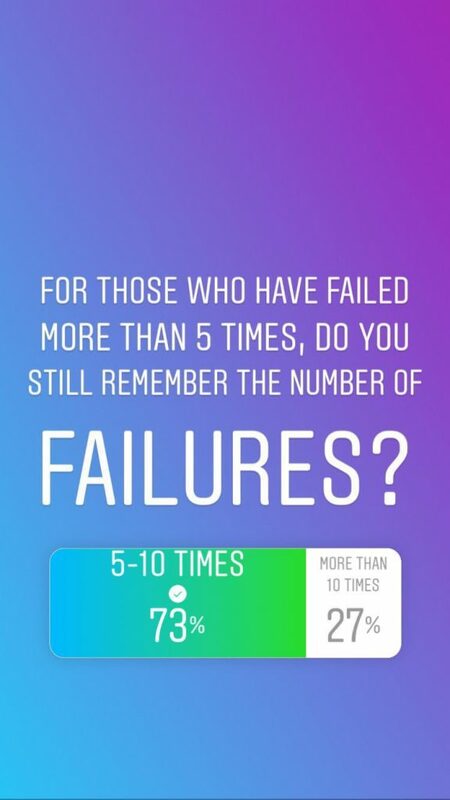 Q12: For those who failed more than 5 times, how many times have you failed? 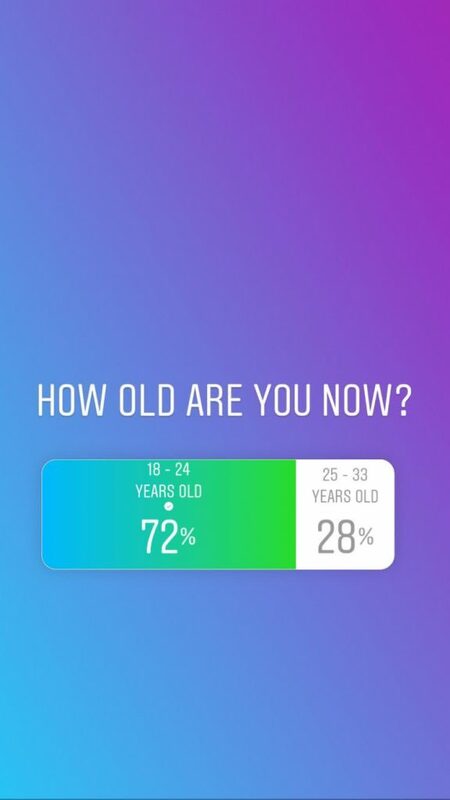 Q13: How old are you now? 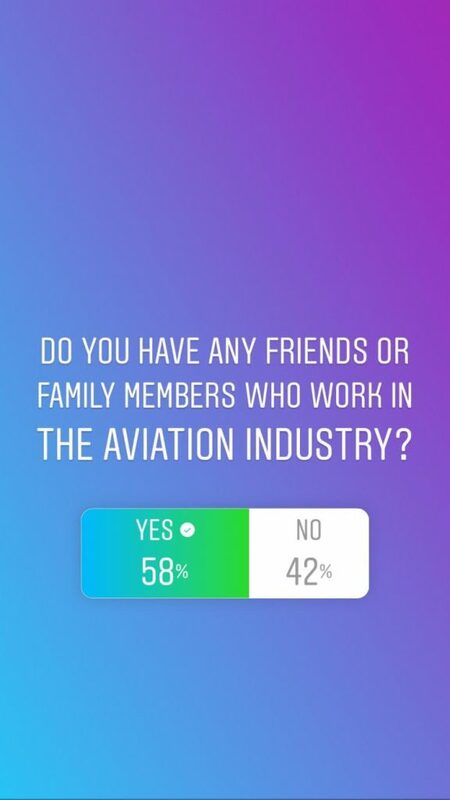 Q14: Do you have any friends or family members in the aviation industry? 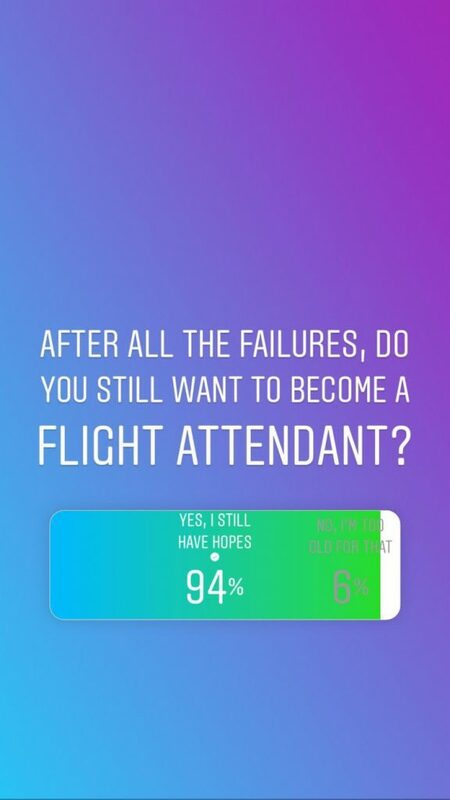 Q15: After all the failures, do you still want to become a flight attendant? 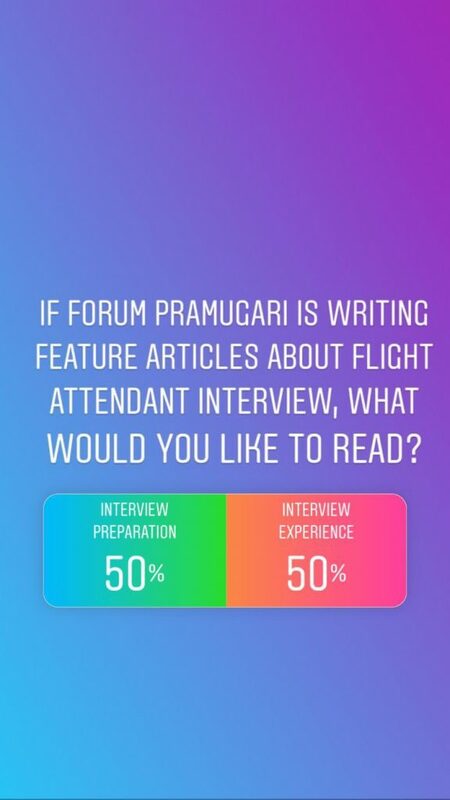 Q16: If Forum Pramugari wrote feature articles about flight attendant interview, what would you like to read? 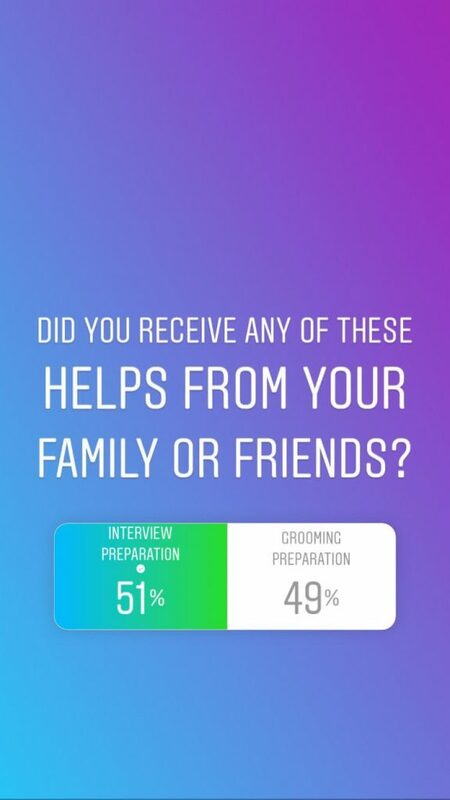 These questions are saved for further research and you can have a look at them on our Instagram Highlights (click here). Thank you for participating in Forum Pramugari’s first ever polls, please stay tuned for upcoming feature articles and interactions on our Instagram account @forumpramugari.